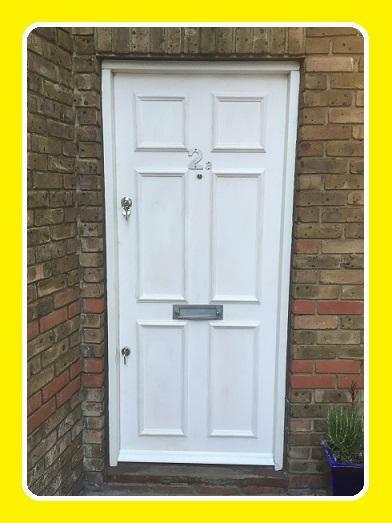 If you are looking to have fire door or doors fitted, then look no further than the North London Locksmith leading door fitting Company, a Company who have been established for more than 35 years and in that time have fitted many thousands of different types of doors. Being a Locksmith Company as well, we know the correct Locks to fit, whether security Egress British Standard Locks, for communal doors or British Standard security Locks for your home and businesses. 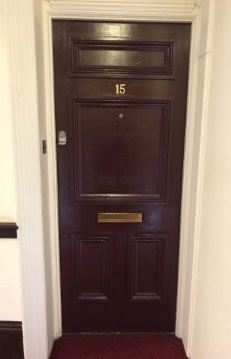 The Carpenters of our North London undertake the fitting of Fire Doors as well as Door Fittings of standard doors, of many varieties for private homes and businesses. As we are a Locksmith Company we can also suggest the best locks to fit onto your new doors. Foe example, on a communal door, the best locks to fit, to conform to HMO regulations would be the Egress Rim Latch and Egress dead lock. We also have a first class WEB SHOP where these Egress Locks locks and any other type of lock can be purchased at discounted prices. SOLID CORE HALF HOUR, PLAIN . Why fit a plain unit to your flat or front entrance? With our solid core doors, which are at least half hour fire check, we can make it up into a panelled unit, giving you far extra strength than a standard half hour fire check. Our Carpenters will also supply and fit the best locks possible to it, plus any ironmongery needed. Our Carpenters also edge, with a hardwood edging, any solid unit fitted. Above is one of our Solid Core Fire units, as it comes into our workshop, our Carpenters edge and panel them as shown to the right, these doors are far stronger than a standard half hour fire check. We fit them with all ironmongery plus the best locks for your requirements. We also supply and fit London Bars, to the frame side, to strengthen that. Ideal for Flats and Front entrances. 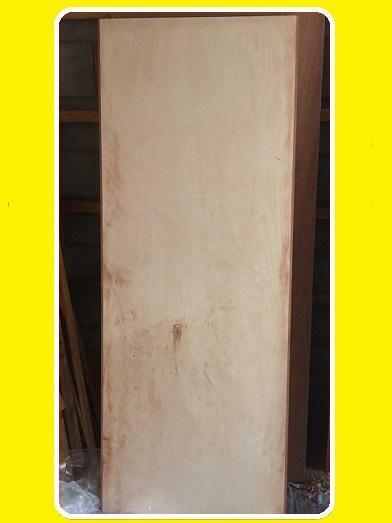 OUR FULLY SKILLED CARPENTERS ARE HERE TO HELP YOU WITH YOUR REQUIREMENTS. We also supply and fit Door Closers if required. To the left is a solid core front door with panels fitted in our work shop...On the right is the door fitted in situ with customers Ingersol lock from their damaged door. This door to the left is a solid core door with panels to match all existing doors in the block, these were also fitted in our work shop... the door was then fitted by one of our Carpenters. The Carpenters of Our North London Locksmith Department who fit Fire Doors, will make sure that the proper intumescent strips are fitted as well as the required door stops, hinges and door closers to conform to fire regulations. A first class door fitting service of all types of doors, including Fire doors, is offered by our North London Locksmith Door Fitters. Fire Doors are doors which are rated with minimum 1/2 hour fire resistance (FD30) commonly used in the domestic homes, or on front doors to rooms or flats in multi- tenement buildings, this means the doors offer a minimum 30 minutes resistance to heat and flames. Intumescent fire door seals, with or without cold smokes seals, should be fitted to the top and both sides of the door, or built into the actual frame. The actual door stops of the frame should be approximately 1" in depth. Each door should be hung on 3 x 4" fire rated hinges. Any locks or handles fitted should also be able to resist fire ratings, for instance handles with plastic inserts should not be used, on sash locks, as these can melt, in a fire, thus preventing lock from opening. On communal doors, it is advisable to fit locks which can be easily opened from the inside, with a twist of a knob, never fit key operated internal lockable locks. A good fire rated self closing door closer, should be fitted, in order that the door closes each time used. a spring closer can be fitted into the hinge side of the door, or an overhead door closer, which can check door speed. If glass is fitted to a door, it should be of a fire resistant type of glass. Remember! These doors do not prevent fire, they check the speed that a fire takes hold. 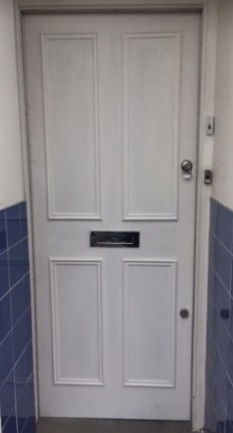 There are a large range of various finishes of fire doors, as well as locks to fit these Doors, our North London Locksmith carpenters, will always help you choose the correct door or locks to enhance the effect of your property. Call us on 0208 800 6041 where a member of our team, will always be happy to advice you or, send out someone to estimate your work, for you. We offer a fast reliable service and of course our normal fair priced structure, means you will pay the reasonable prices.